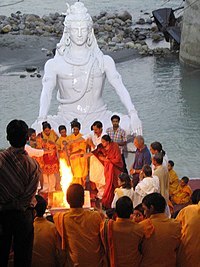 Hindu rites of passage celebrations such as weddings and religious prayers, making it probably the world's oldest religious text in continued use. The Rigveda is not a book, but a library and a literature. Agni I invoke, the housepriest"
Rigveda includes a lineage-specific āprī hymn (a special sūkta of rigidly formulaic structure, used for rituals. Rigveda (padapatha) manuscript in Devanagari, early 19th century. After a scribal benediction ("śrīgaṇéśāyanamaḥ ;; Aum(3) ;;"), the first line has the opening words of RV.1.1.1 (agniṃ ; iḷe ; puraḥ-hitaṃ ; yajñasya ; devaṃ ; ṛtvijaṃ). 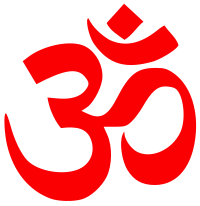 The Vedic accent is marked by underscores and vertical overscores in red. Rigveda Pratisakhya. Very similar to Śākala, with a few additional verses; might have derived from or merged with it. Nasadiya Sukta (Hymn of non-Eternity, origin of universe): There was neither non-existence nor existence then; Neither the realm of space, nor the sky which is beyond; What stirred? Where? In whose protection? There was neither death nor immortality then; No distinguishing sign of night nor of day; That One breathed, windless, by its own impulse; Other than that there was nothing beyond. Darkness there was at first, by darkness hidden; Without distinctive marks, this all was water; That which, becoming, by the void was covered; That One by force of heat came into being; Who really knows? Who will here proclaim it? Whence was it produced? Whence is this creation? Gods came afterwards, with the creation of this universe. Who then knows whence it has arisen? Whether God's will created it, or whether He was mute; Perhaps it formed itself, or perhaps it did not; Only He who is its overseer in highest heaven knows, Only He knows, or perhaps He does not know. 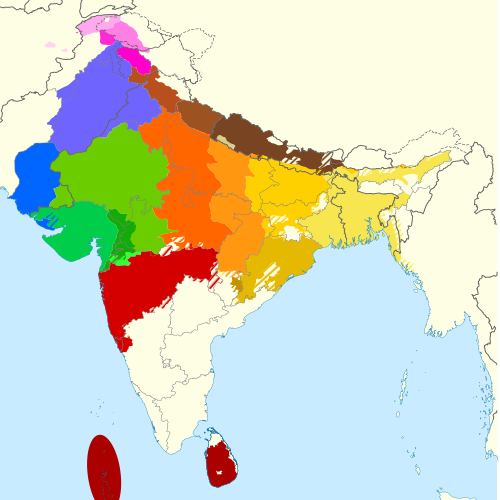 Vayu or Vata (the wind), Apas (the waters), Parjanya (the thunder and rain), Vac (the word), many rivers (notably the Sapta Sindhu, and the Sarasvati River). 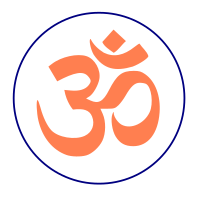 The Adityas, Vasus, Rudras, Sadhyas, Ashvins, Maruts, Rbhus, and the Vishvadevas ("all-gods") as well as the "thirty-three gods" are the groups of deities mentioned. 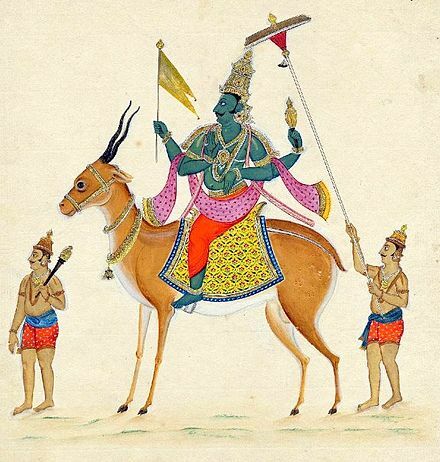 The hymns mention various further minor gods, persons, phenomena and items, and contain fragmentary references to possible historical events, notably the struggle between the early Vedic people (known as Vedic Aryans, a subgroup of the Indo-Aryans) and their enemies, the Dasa or Dasyu and their mythical prototypes, the Paṇi (the Bactrian Parna). Veda (Sakhas), and the versions varied. The Kuru versions were more orthodox, but evidence suggests Vedic era people of other parts of Northern India had challenged the Kuru orthodoxy. 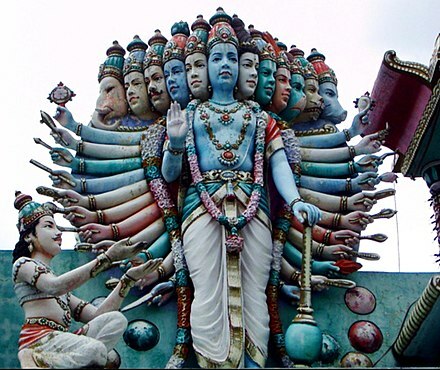 They call him Indra, Mitra, Varuna, Agni, and he is heavenly nobly-winged Garutman. 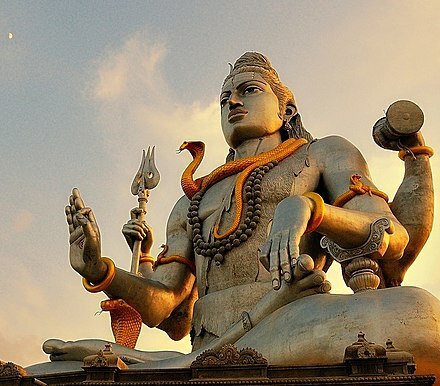 To what is One, sages give many a title they call it Agni, Yama, Matarisvan. He who studies understands, not the one who sleeps. Rigveda suggests it was "composed by poets, human individuals whose names were household words" in the Vedic age, states Staal. Rigveda Sanhita, Liber Primus, Sanskrite Et Latine (ISBN 978-1275453234). Based on manuscripts brought back from India by Henry Thomas Colebrooke. 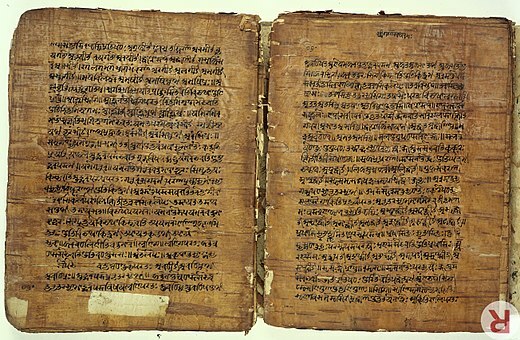 Samhita Text. He also translated a few hymns in English (Nasadiya Sukta). Hindu Hymns H. H. Wilson 1850-88 English Published as 6 volumes, by N. Trübner & Co., London. Dharma Deva Vidya Martanda (1974). Veda in 1896. Revised by JL Shastri in 1973. Harvard University Press (2003) ISBN 0-674-01226-7. Mandala 2, 5, 7 and 8). Later published as independent volumes. Veda appears as an Appendix. Veda series, also published as The Holy Vedas. Devanagari script, along with a cristical apparatus. Rig-Veda Michael Witzel, Toshifumi Goto 2007 German Partial translation ( Mandala 1 and 2). The authors are working on a second volume. Published by Verlag der Weltreligionen (ISBN 978-3-458-70001-2). Veda are said to date from 1500 B.C." Thomas Oberlies (Die Religion des Rgveda, 1998, p. 158) based on 'cumulative evidence' sets wide range of 1700–1100. Oberlies (1998:155) gives an estimate of 1100 BC for the youngest hymns in book 10. The EIEC (s.v. 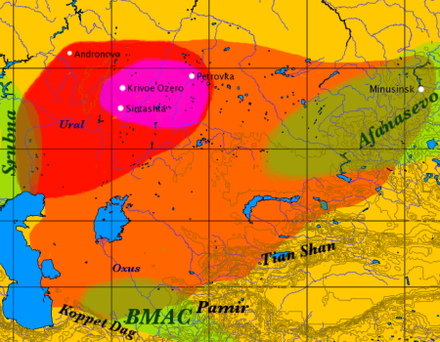 Indo-Iranian languages, p. 306) gives 1500–1000 BC. Flood and Witzel both mention c. 1500–1200 BC. 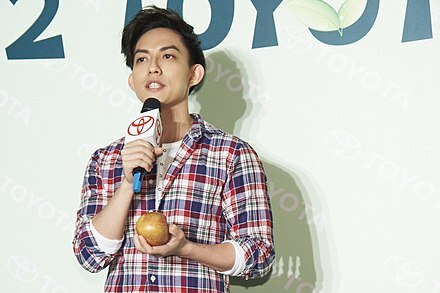 Anthony mentions c. 1500–1300 BC. Vedas were codified and written down for the first time in the 1st millennium BC. 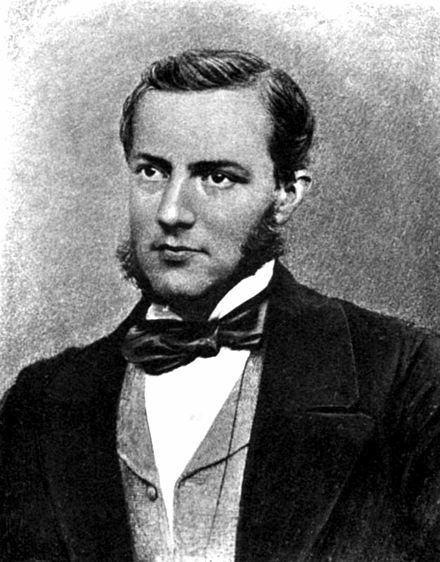 Max Muller (1859). A History of Ancient Sanskrit Literature. Williams and Norgate, London. pp. 559–565. Translation 2: Kenneth Kramer (1986). World Scriptures: An Introduction to Comparative Religions. Paulist Press. p. 21. ISBN 0-8091-2781-4. Translation 3: David Christian (2011). Maps of Time: An Introduction to Big History. University of California Press. pp. 17–18. ISBN 978-0-520-95067-2. Translation 4: Robert N. Bellah (2011). Religion in Human Evolution. Harvard University Press. pp. 510–511. ISBN 978-0-674-06309-9. Veda - Sanhita - Vol.1". Dspace.wbpublibnet.gov.in:8080. 2006-03-21. Retrieved 2017-03-10. ^ "The Bhandarkar Oriental Research Institute : The Manuscript Department". Bori.ac.in. Retrieved 2017-03-10. ^ Stephanie W. Jamison & Joel P. Brereton 2014, pp. 19–20. ^ neh.gov, retrieved 22 March 2007. Sanskrit and Indian Studies, Harvard University, Harvard University Press, Cambridge, Massachusetts and London, England, 1994. 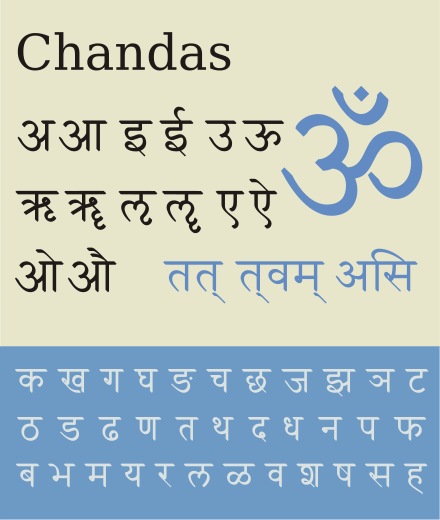 Rgveda-Samhita, Text in Devanagari, English translation Notes and indices by H. H. Wilson, Ed. W.F. Webster, originally in 1888, Published Nag Publishers 1990, 11A/U.A. Jawaharnagar,Delhi-7. 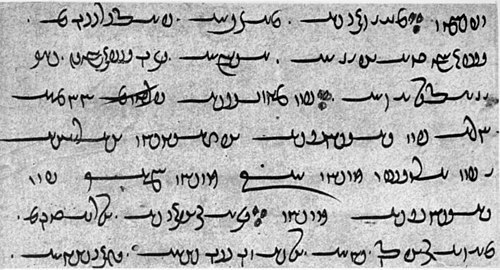 Sanskrit based on 24 manuscripts). ed. Sontakke et al., published by Vaidika Samsodhana Mandala, Pune (2nd ed. 1972) in 5 volumes. Veda Riddles In Nomad Perspective, Mongolian Studies, Journal of the Mongolian Society XI, 1988. Thomas Oberlies, Die Religion des Rgveda, Wien 1998. Oldenberg, Hermann (1894). Hymnen des Rigveda. 1. Teil: Metrische und textgeschichtliche Prolegomena. Berlin 1888. (please add), Wiesbaden 1982. —Die Religion des Veda. Berlin 1894; Stuttgart 1917; Stuttgart 1927; Darmstadt 1977 —Vedic Hymns, The Sacred Books of the East vo, l. 46 ed. Friedrich Max Müller, Oxford 1897 Adolf Kaegi, The Rigveda: The Oldest Literature of the Indians (trans. R. Arrowsmith), Boston, Ginn and Co. (1886), 2004 reprint: ISBN 978-1-4179-8205-9. Mallory, J. P.; et al. (1989). "Indo-Iranian Languages in Encyclopedia of Indo-European Culture". Fitzroy Dearborn (published 1997). English translation by Ralph T. H. Griffith on Wikisource For links to other translations, see Translations section above.